There’s a growing trend around kombucha cocktails, and we’re not surprised. Whether you’re making them with or without alcohol (we tend to favour alcohol-free kombucha cocktails, but each to their own), the sophisticated notes and flavours that come out of this wonderful fermented tea drink make for really interesting mixology. 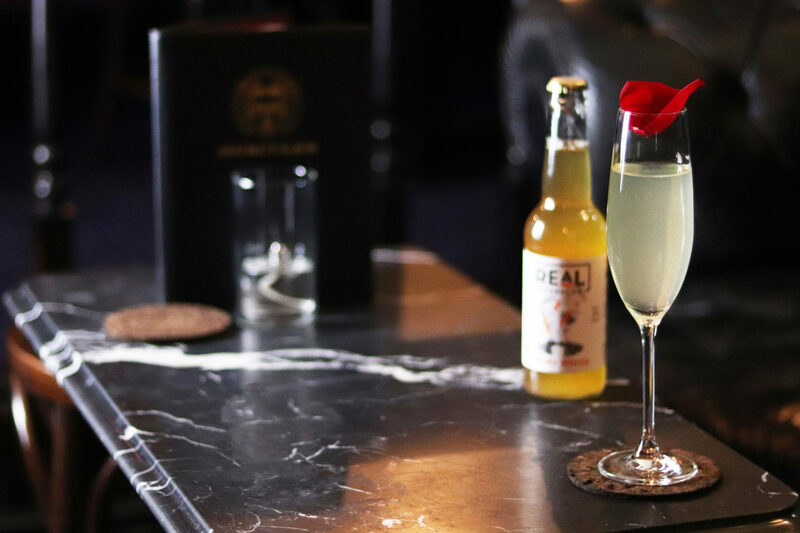 Since we work with some of the country’s best-loved hotels, bars and restaurants, we get the chance to put their mixologists to the test occasionally and see what kind of kombucha cocktails they can come up with. Every time we taste something new and special, we’ll be adding the recipe to this page. Let’s start with one of our very own. This is the Royal Bellini, one of our signature serves. 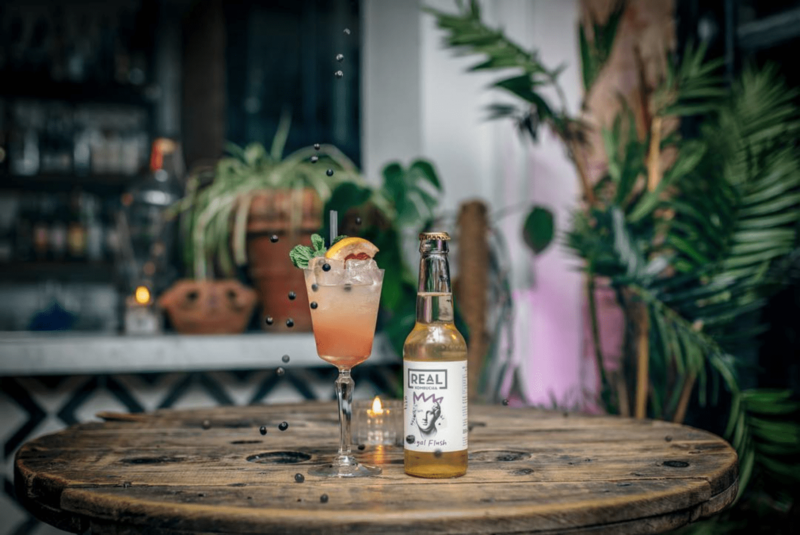 You’ll find it served in a number of London’s best bars, where its mixture of peach syrup and Royal Flush kombucha goes down an absolute treat. A simple, subtle serve, and the ideal alternative to the champagne cocktail for anyone choosing not to drink. Think summer, think berries… but beets? The humble beetroot seems to be the vegetable of the moment – a wonderful way to add colour to health-conscious (and highly Instagramable plates) but also a really good combining ingredient for meat-free burgers. It’s what gives this delicious kombucha cocktail most of its colour, not too mention its mouth-watering flavour. Salivating yet? Order this kombucha cocktail at Luca in London. 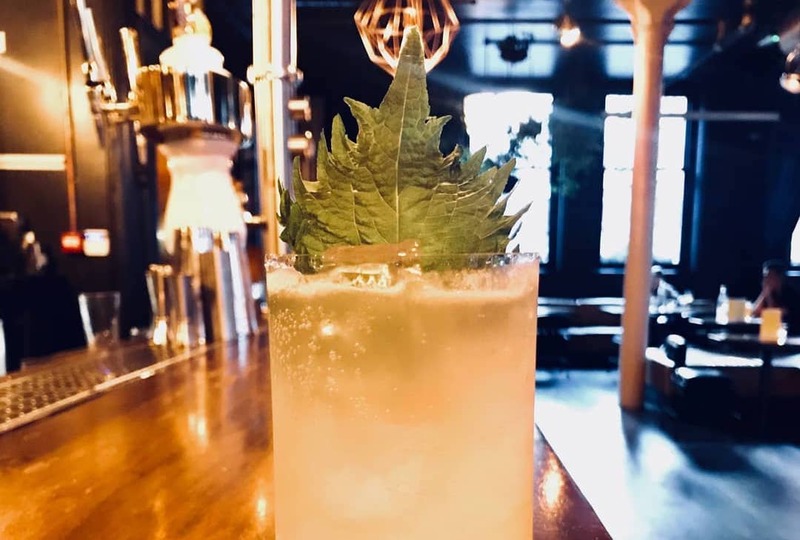 This great-tasting kombucha cocktail is full of lush, green vegetation, brought to life with a touch of lime, some crushed ice, some fresh mint and Real Kombucha’s Dry Dragon. Really refreshing and perfect for a sunny day. You can order this drink at The Pig Hotel near Bath. Take a look at that. It looks like it’s got it all, and it really has. 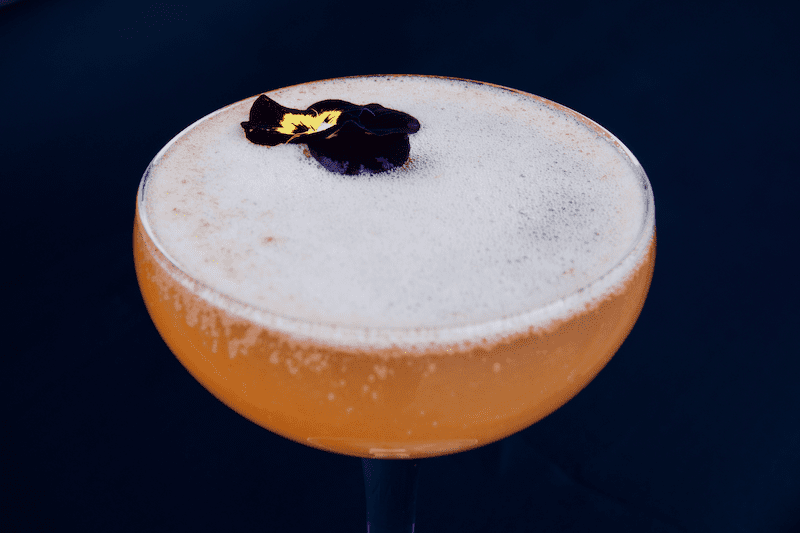 “Even Monkeys Fall From Trees” is made with Monkey 47 gin, Citadelle aged rum, white peach and papaya cordial, Jinro Falernum, banana, ginger and (of course) Real Kombucha. Clearly not one for the designated driver! 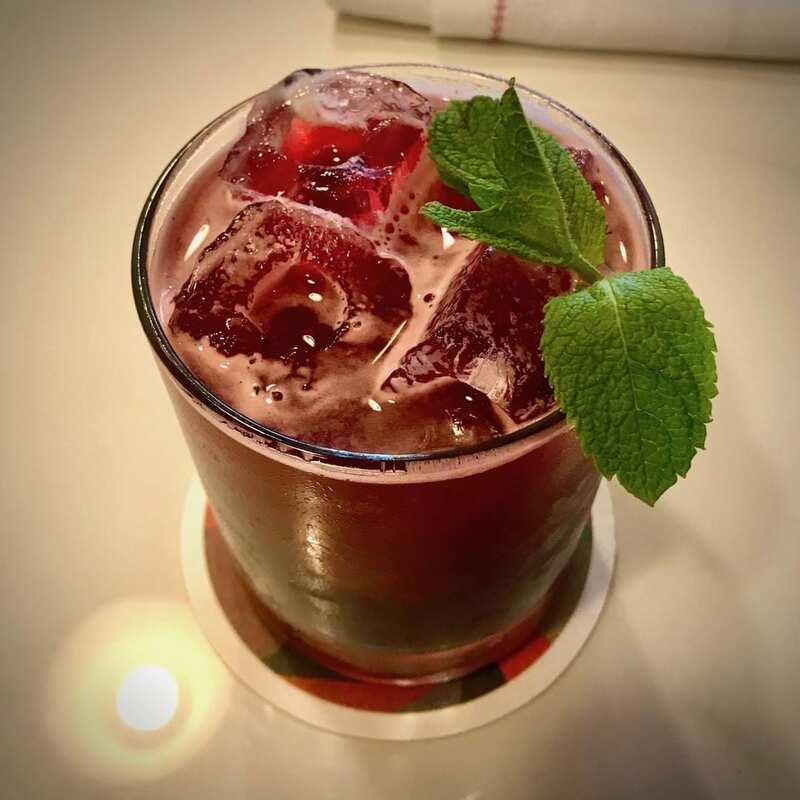 Order this kombucha cocktail at Cottonopolis in Manchester. Introducing the Indian Summer Spritz, one of two kombucha cocktails being served at Boki for London Cocktail Week, 2018. The glass is rimmed with a passion fruit butter, while the drink itself is a delicate combination of Real Kombucha’s Royal Flush, Lillet, Cartron Crème De Pêche De Vigne De Bourgogne and Suze Liqueur. Order this kombucha cocktail at Boki, Seven Dials. Available as part of London Cocktail Week, 2018. If you’re sat drinking one of these, you’re doing life well. 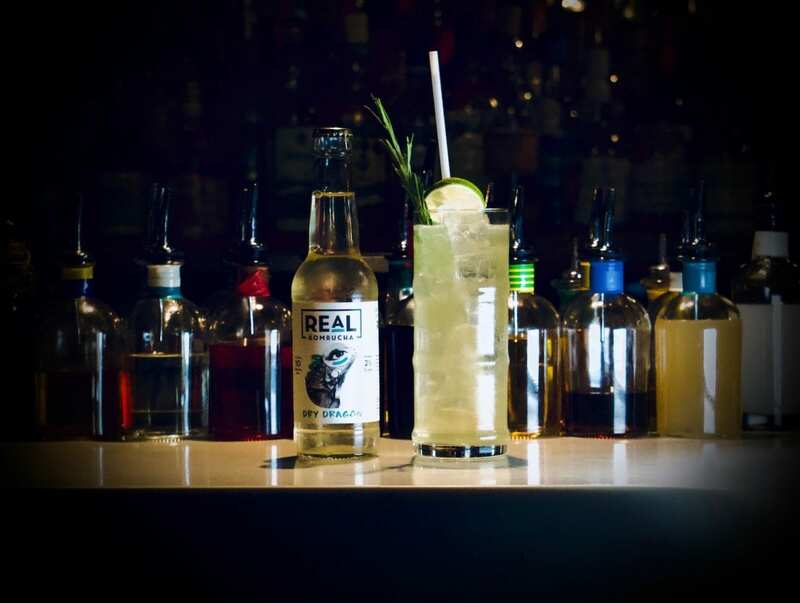 Thanks to @natalieerror for this mouthwatering pic of the Mandrake Hotel’s Hops kombucha cocktail. The recipe includes hops, rhubarb, red fruit cordial, a touch of lime and – of course – Real Kombucha. Top marks. Order this kombucha cocktail at The Mandrake in London. Made specially for London Cocktail Week, 2018, this is a complicated number, but what else would you expect from Charles Roche, the genius behind Liquid Intellect? ‘Journeys’ involves non-alcoholic gin #221, Real Kombucha Smoke House, Hercules caramel syrup, rose Water, ISO E Super, malic acid and saline solution. Worth the trip just to satiate the inevitable curiosity. Order this kombucha cocktail at Bar Hercules, Soho, London. 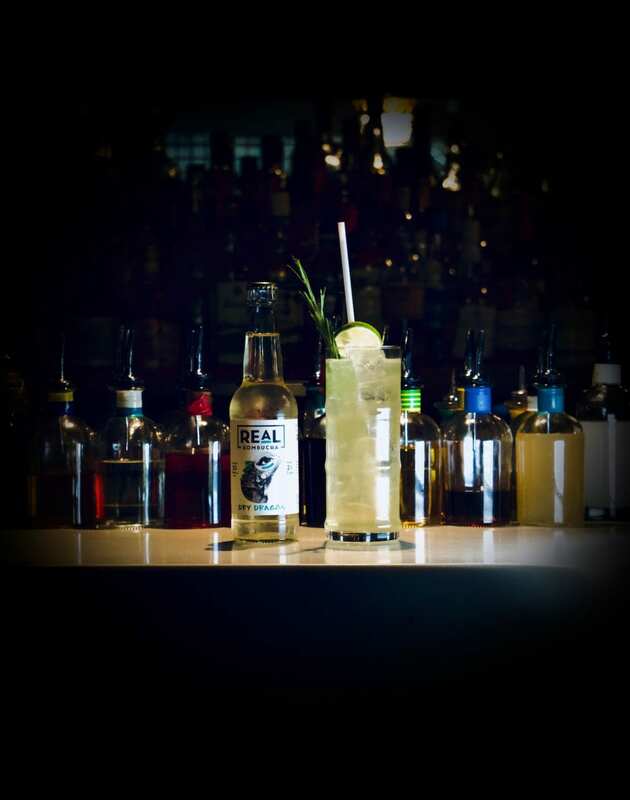 Available as part of London Cocktail Week, 2018. 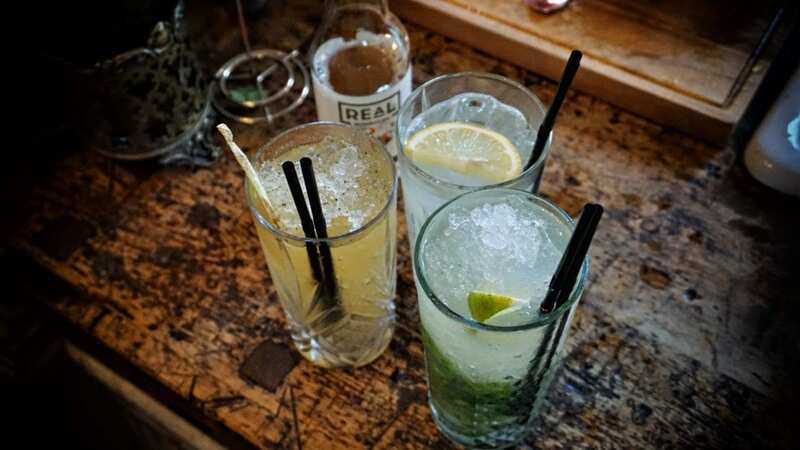 A visit to the King’s Head Cocktail Bar on Fulham High Street is worth it just for the slightly out-of-this-world decor, but add in one of the most mouth-watering kombucha cocktails we’ve ever seen, and you’ve got something really worth leaving the house for. It is mainly pineapple and Smoke House (hence the smokey locomotive motif), but there’s cranberry, lime, elderflower and All Spice in there for good measure, just to take you on a really sensual journey. 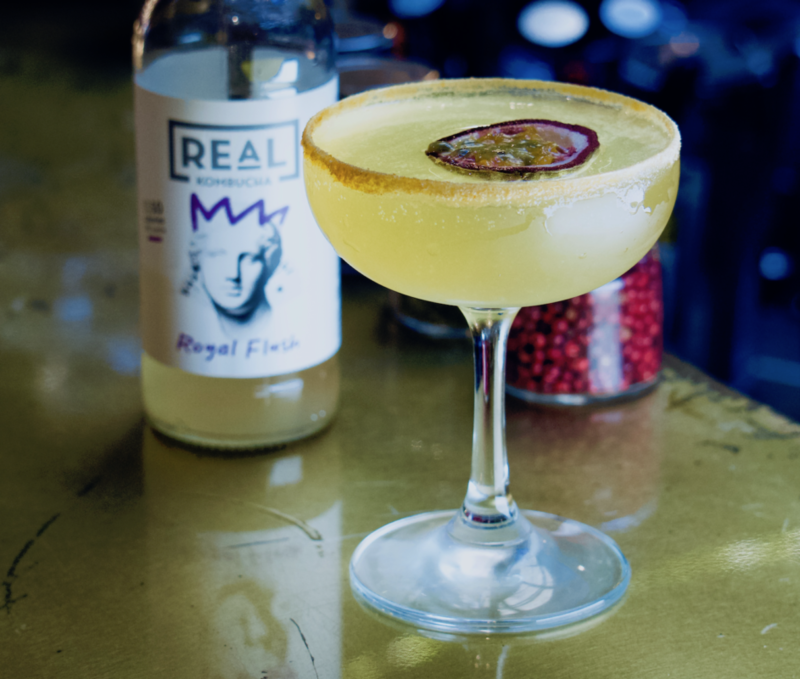 Order this kombucha cocktail at The King’s Head, Fulham. Available as part of London Cocktail Week, 2018. 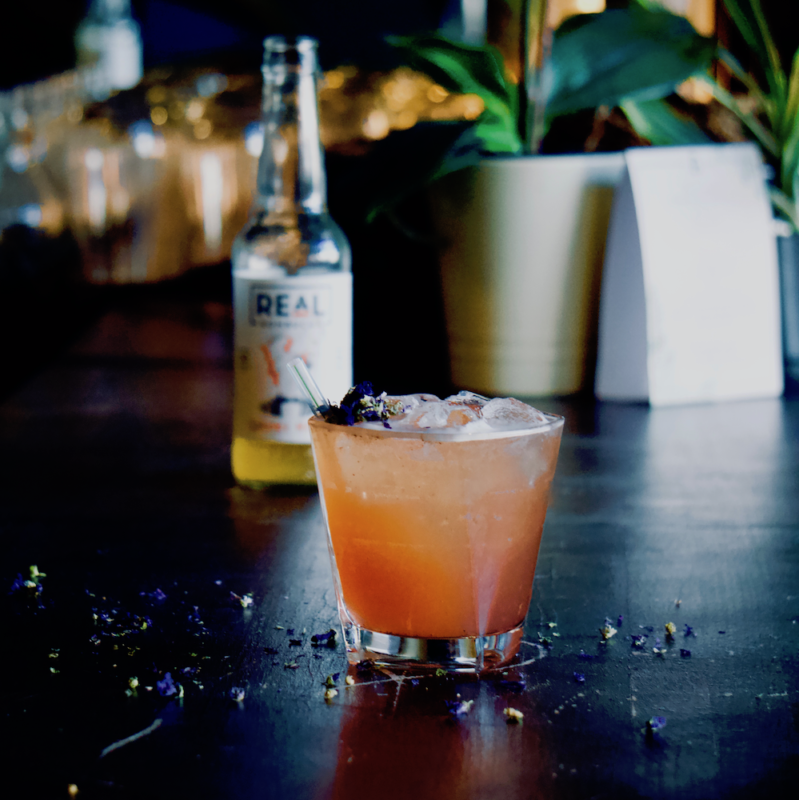 “So good you’ll wish you were the designated driver” – so say the folks at NT’s Bar, who came up with one of our favourite kombucha cocktails. 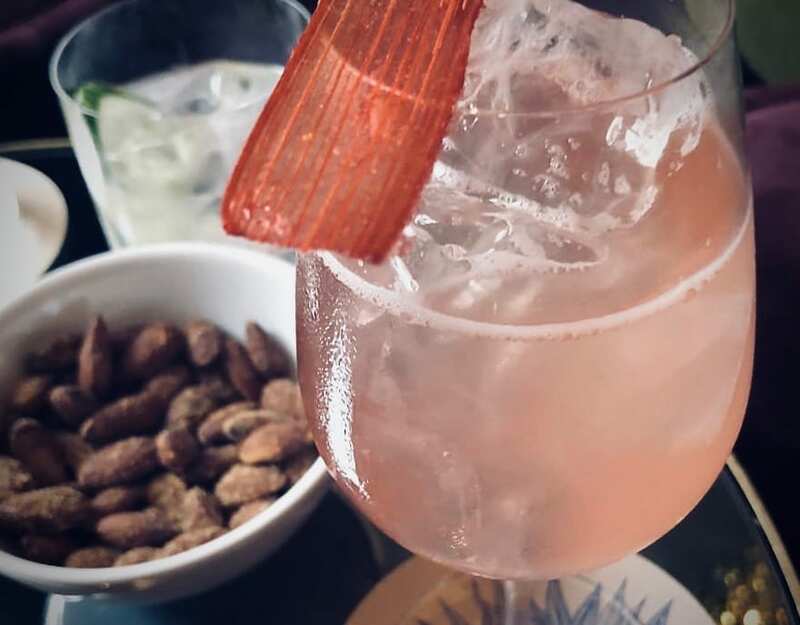 Note to any would-be mixologists here: you’re going to need to head over to NT’s for one of these ingredients – it’s about as exclusive as it gets, featuring a homemade salted coriander syrup, fresh grapefruit juice, crushed juniper berries and, of course, Real Kombucha’s Royal Flush. You can order this kombucha cocktail at NT’s Bar, Dalston, London. Available as part of London Cocktail Week, 2018. It’s not enough for many mixologists just to bang a few liquids together in a cocktail shaker. Some of our favourite kombucha cocktails involve homemade concoctions, unique to the creator, that you’d be hard-pressed to find elsewhere or recreate for yourself. 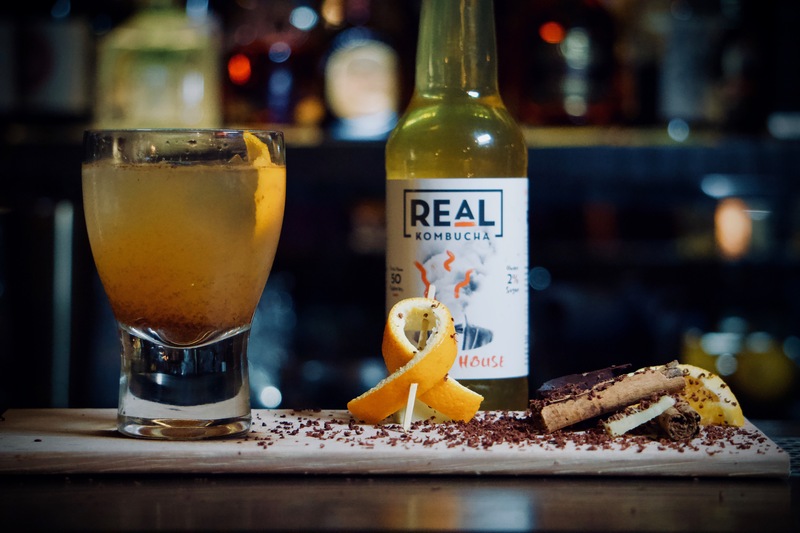 This amazing drink, served on London’s Portobello Road, contains a mango and cardamon tea syrup that is so good your tastebuds will be demanding an encore within minutes. They’ve mixed in a splash of lime juice, as well as Real Kombucha’s Dry Dragon. Prepared especially for London Cocktail Week. Get it while you can. Order this kombucha cocktail at Trailer Happiness, Notting Hill. Available as part of London Cocktail Week, 2018. Made by mixologist Yaw Asante (AKA The Acting Bartender) for Bounce in Farringdon, this incredible cocktail has to be seen to be believed… literally. As you might expect from the actor-turned-mixmeister, there are theatrics involved, in this case the burning of a piece of hickory wood (the resulting fragrance influences your sense of taste). It’s also full of great spices, including raw ginger, clove and cinnamon, which work perfectly with Real Kombucha’s Smoke House. Order this kombucha cocktail at Bounce, Farringdon, London. Available as part of London Cocktail Week, 2018.